We aren’t just cereal. We’re beyond cereal. The original. The ultimate. 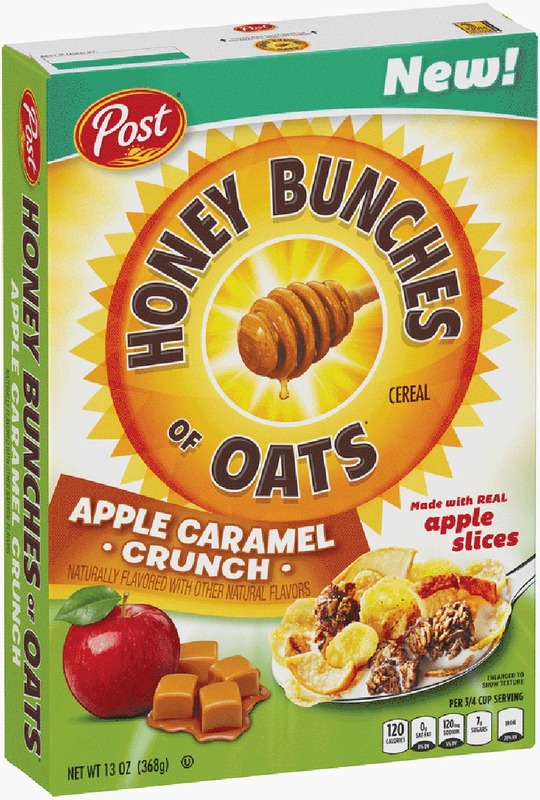 The best thing that’s happened to cereal since cereal. Bring the savory sweetness of a hearty brunch to your breakfast bowl. 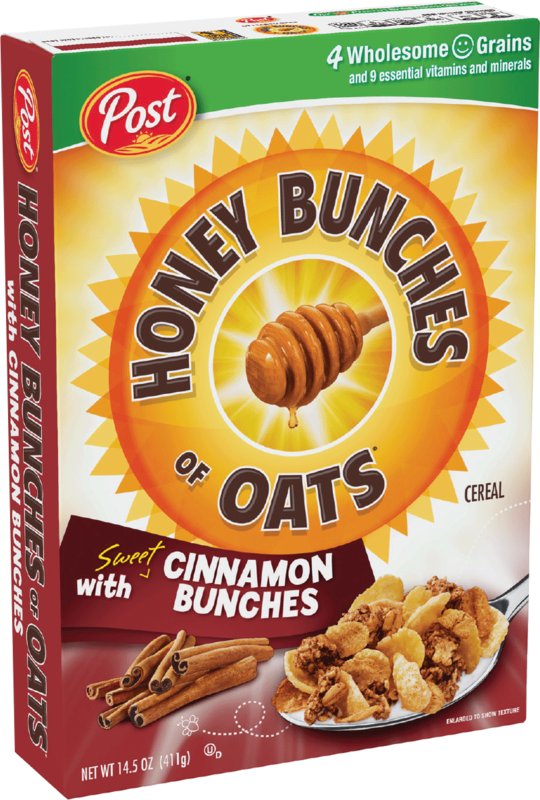 Honey Bunches of Oats® Chicken & Waffles and Maple Bacon Donuts do not contain meat, but they do deliver the delicious taste of chicken and bacon, blended with sweet maple and honey. These cereals will be available in extremely limited quantities at select Walmart, Giant Eagle, Woodman’s and Riesbeck’s stores so get them while they last. 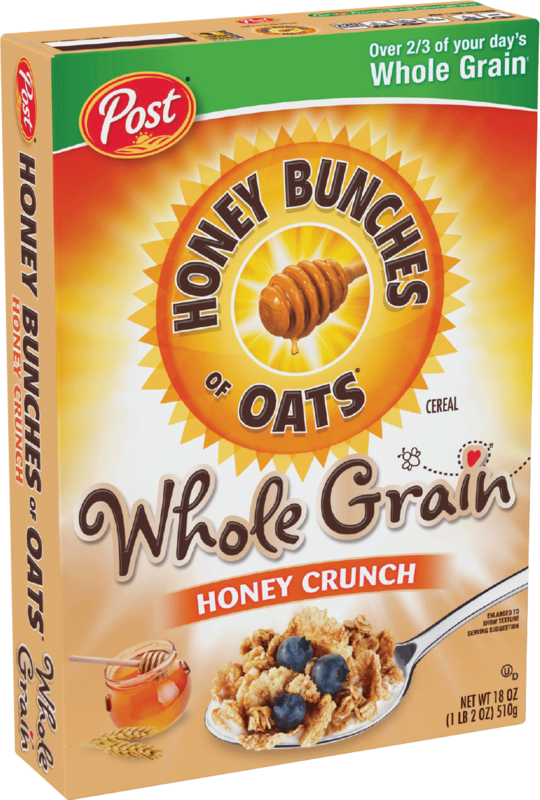 SUGAR, CORN MEAL, CORN, WHOLE GRAIN WHEAT, WHOLE GRAIN ROLLED OATS, WHOLE GRAIN OAT FLOUR, SALT, RICE, CORN SYRUP, CANOLA OIL, CARAMEL COLOR, CORNSTARCH, PALM OIL, MOLASSES, BARLEY MALT EXTRACT, NATURAL AND ARTIFICIAL FLAVOR, CINNAMON, HONEY, YEAST EXTRACT, LACTIC ACID, YELLOW 6, RED 40. FERRIC ORTHOPHOSPHATE (SOURCE OF IRON), NIACINAMIDE (VITAMIN B3), THIAMIN HYDROCHLORIDE (VITAMIN B1), CALCIUM PANTOTHENATE (VITAMIN B5), ZINC OXIDE, PYRIDOXINE HYDROCHLORIDE (VITAMIN B6), THIAMIN MONONITRATE (VITAMIN B1), FOLIC ACID. SUGAR, CORN, CORN MEAL, DEGERMED YELLOW CORN FLOUR, WHOLE GRAIN WHEAT, WHOLE GRAIN OAT FLOUR, WHOLE GRAIN ROLLED OATS, SALT, RICE, CANOLA OIL, CORN SYRUP, CARAMEL COLOR, MOLASSES, BARLEY MALT EXTRACT, CINNAMON, HONEY, NATURAL AND ARTIFICIAL FLAVOR, ONION POWDER, GARLIC POWDER, YEAST EXTRACT, SPICE BLEND (BLACK PEPPER, MARJORAM, SAGE, THYME). FERRIC ORTHOPHOSPHATE (SOURCE OF IRON), REDUCED IRON, NIACINAMIDE (VITAMIN B3), ZINC OXIDE, THIAMIN MONONITRATE (VITAMIN B1), CALCIUM PANTOTHENATE (VITAMIN B5), THIAMIN HYDROCHLORIDE (VITAMIN B1), PYRIDOXINE HYDROCHLORIDE (VITAMIN B6), FOLIC ACID. 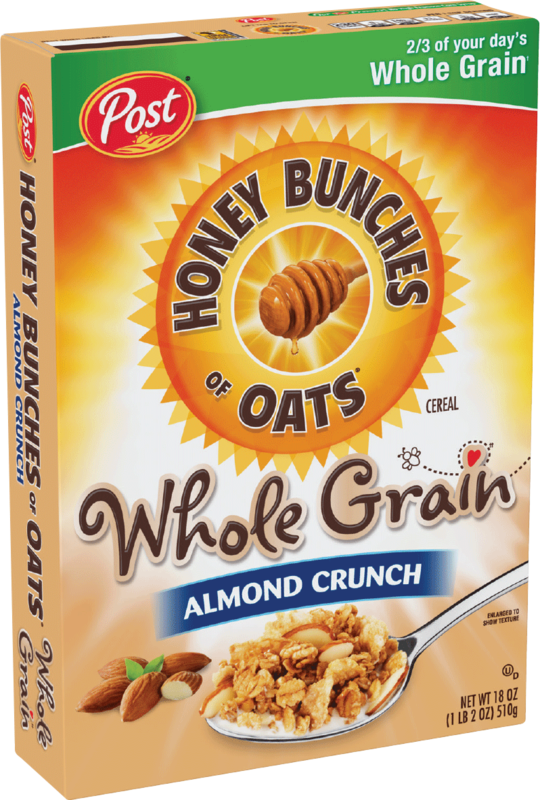 CORN, WHOLE GRAIN WHEAT, SUGAR, WHOLE GRAIN ROLLED OATS, BROWN SUGAR, RICE, CANOLA OIL, WHEAT FLOUR, MALTED BARLEY FLOUR, CORN SYRUP, SALT, WHEY (FROM MILK), MALTED CORN AND BARLEY SYRUP, HONEY, CARAMEL COLOR, NATURAL AND ARTIFICIAL FLAVOR, ANNATTO EXTRACT (COLOR). BHT ADDED TO PACKAGING MATERIAL TO PRESERVE PRODUCT FRESHNESS.